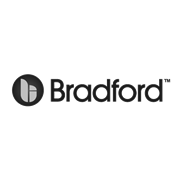 Bradford Thermoseal ResiWrap is an extra heavy duty, reflective foil wall wrap and/or metal roof sarking for residential buildings. This product is suitable for use behind brick veneer walls, and below metal sheet. 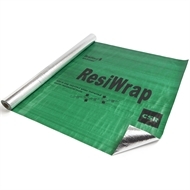 This product is not suitable for use with roof tiles or behind lightweight clad wall applications. Recommended for brick veneer walls and light coloured metal roofs - suitable for bushfire rated areas 12.5 to 40.